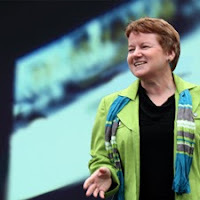 Steve Hargadon: Live Interview Thursday, February 3rd - Karen Hume on "Engaging the 21st Century Learner"
Join me Thursday, February 3rd, for a live and interactive FutureofEducation.com webinar with Karen Hume on her book Tuned Out: Engaging the 21st Century Learner. Karen Hume is a well known Canadian teacher, administrator, author, speaker, and workshop leader. The winner of three “Teacher of the Year” awards, Karen draws from her wealth of experiences and extensive knowledge base to provide focused, practical, and inspiring support to teachers and administrators. Karen Hume has written 6 professional development books for teachers. Her latest publication is Tuned Out: Engaging the 21st Century Learner (Pearson Canada, 2010). Her previous best-sellers include Start Where They Are, and Evidence to Action. Karen’s writing, workshop facilitation, and keynote addresses revolve around differentiated instruction, which she sees as an organizing framework for everything that happens in teaching and learning at all levels of a school system. Karen has launched a new website and blog at www.karenhume.ca, and her Twitter handle is @humekaren. She invites teachers to join the conversation!